Burglar Bill is a very naughty man. Each night, he eats a stolen supper and goes out stealing things. But when he accidentally steals a baby, it turns his naughty life upside down! Here’s a classic book that parents recognise and children love. The brilliant images of swarthy Bill clutching his swag bag stick fast in the mind, while everyone will breathe a sigh of relief as he renounces his wicked ways and turns over a new leaf! 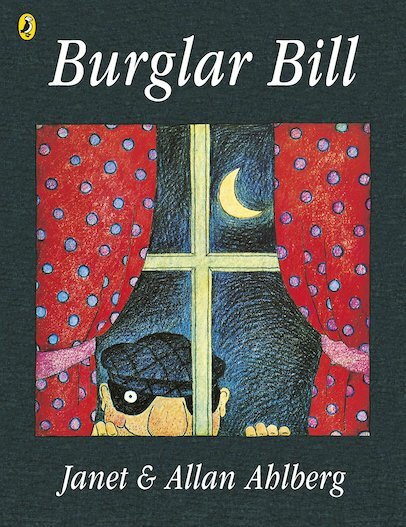 Thirty copies of this classic children’s book to accompany Read & Respond: Burglar Bill.